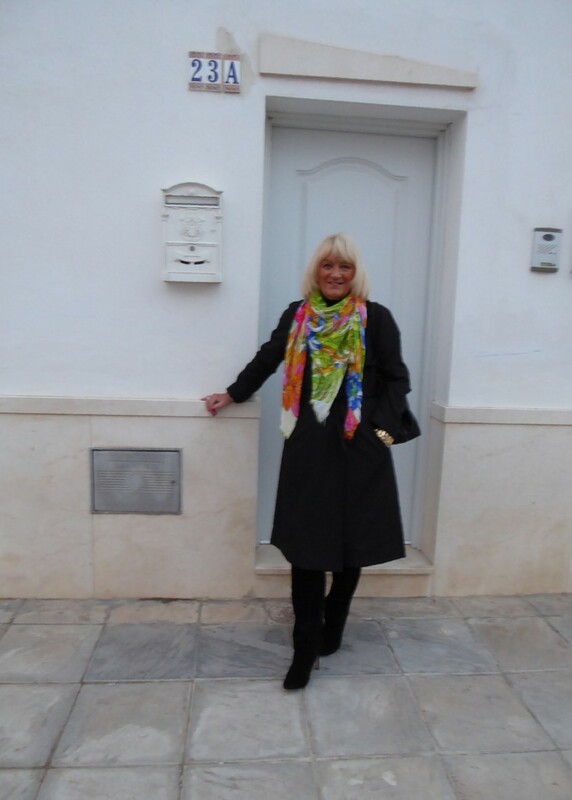 Having visited the South of Spain over the years looking to find the perfect property I managed to find the beautiful Olvera and luckily for me Anne Marie and Zoe the owners of Olvera Properties estate agents. From the viewing to completion of my new house, was to say the least made so much easier by the support and professionalism of this wonderful pair, nothing was too much trouble for them and they were and are always just at the end of the phone for any advice needed. In fact without them I would never have finally completed on the purchase. They are an asset to anybody considering buying a property in Spain and I would recommend a hundred percent. 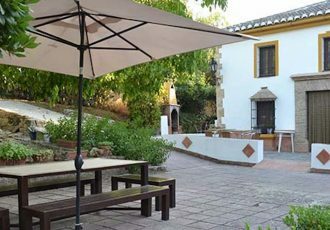 I have recently purchased my little bolt hole in the beautiful white village of Olvera. I had been to Olvera on numerous holidays in the past and upon my return home was a frequenty visitor to the Olvera Properties website. When the time came for me to buy my own house in Olvera I knew that I wanted to do so through Olvera Properties because of their obvious expertise in property in this area and more importantly because of the unamimously positive reviews I had read from previous clients about the service provided by this company. I’m glad to report that I am now a very grateful previous client. Anne-Marie and Zoe couldn’t have been more helpful and made the purchase of a house in Spain easier than buying a second hand car back home. From organising my NIE to helping with translations, organising cleaners, organising fiber internet (which unbeliveably was installed 4 hours later) and steering me through the legalities of buying in Spain, these two ladies were totally professional at all times. I would strongly recommend anyone considering purchasing in this beautiful area to use Olvera Properties. They know the process inside out and made what I’m sure would otherwise have been a very difficult and intimidating process into a stressfree and actually enjoyable experience. Thank you so much for making what I thought would be a difficult process so simple. 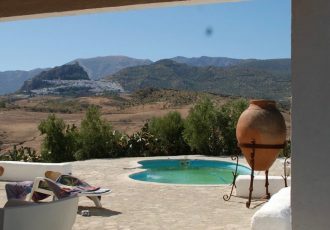 You made finding the property, buying the property and now running and enjoying our lovely little bolt hole in Olvera so painless and stress free. You are always on hand for help and advice and I can’t thank you enough. We bought a lovely property in Algodanales in 2015 through Olvera properties. Zoe and Anne-Marie bring a significant amount of comfort to the daunting process of buying a property in a country where the buying process, the regulations and legal requirements are very different to the UK. They hand hold their clients through every step and give up a lot of their time to get all the personal paperwork sorted out. For me they are the only game in town if you want to buy or sell a property in the greater Olvera region. The fact that their clients end up being their friends is testimony to their professionalism and personalities. My wife had been visiting Olvera for a little over 4 years to see friends. It was in 2012 – on our Ruby wedding anniversary – when she surprised me with the gift of Calle Zorilla, a gorgeous 3-storey townhouse on a quiet traffic-free road in the heart of the town. It was just the project I was looking for and we spent the next 3 years refurbishing and turning a house into a home. Ann-Marie and Zoe are such perfectionists; their knowledge of the Spanish legal system faultless, and having Spanish speaking agents is priceless. Professional hand-holding is their forte. In 2015 we decided to purchase a larger property and we returned once again to Olvera Properties. They presented a wide and varied collection of properties for viewing – and once again their talent and expertise were seamless. I’m penning this little missive in the kitchen of our new home – we have just reached the first anniversary of moving in. Our ‘Picture Postcard’ townhouse is now for sale – guess which agents we’re using. On my retirement I recently sold the second house once again with Anne-Marie and Zoe’s help. All through this nine year process Zoe and then also AnneMarie have been there to help with the occasional issues as they happened. One important thing that Olveraproperties provided was continuity, not just during the purchase, but afterwards, right up until selling the property on. …and now that I don’t have a house in Olvera, I miss the convenience of booking a break away whenever I feel like it and going to my own home from home. I also miss walks and bike rides on the lovely Via Verde. I highly recommend Olvera Properties, if you are looking at using a service that is professional, friendly and most of all trustworthy, then you can do no wrong. They really do go out of their way to help, and I don’t think I would have got a sale on property without them. 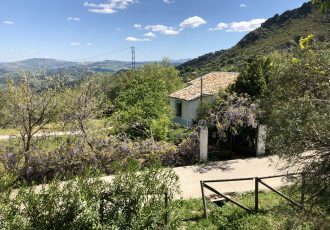 I was in a position that I had to sell my home, but regrettably lived outside of Spain, and was not in a position to visit on a regular basis. Olvera properties looked after everything for me, and I couldn’t be happier. Nine years ago I discovered Olvera….& I never looked back! From my first contact with Olvera Properties, I felt confident that they understood my requirements, & were able to show me houses that were very suitable. I very swiftly decided on my favourite & returned a month later to confirm the purchase. From then on, everything went so smoothly with all aspects of the purchase, & very quickly, I became the proud owner of my very own little place in the sun. Forward nine years, with a bit more money in the bank, I have recently bought property number two, one which ticks every box on my long list! Negotiations were conducted on my behalf with the vendor, & signing took place in January. Throughout, Anne-Marie & Zoe have been amazing, thorough & helpful. Plus, their extensive knowledge of local, trustworthy tradesmen & “all things Spanish”…..ie, burocracy!! !….is incredible! I can’t praise & thank them enough for making my dreams come true. They both go the extra mile to helping you throughout the whole process. …..I know it’s a cliche but we definitely couldn’t have done it without you both. We would have no reservations in recommending Olvera Properties to anyone……..keep doing what you are doing and being yourselves…..thank you so much. We were looking for our place in Spain. About 20 years I left Spain after having lived there for over 7 years. Although there are lots of magical spots throughout the country, it’s thanks to Zoe and AnneMarie that we found our little paradise. Next to a river right into nature. Thank you so much for guiding us through the whole procedure and helping us out with all the papers. Kind regards, nathalie & johan.